Cocoon by Bellemo & Cat Architects Cocoon: A Home? Or a Zeppelin That Crash-Landed in the Australian Bush? 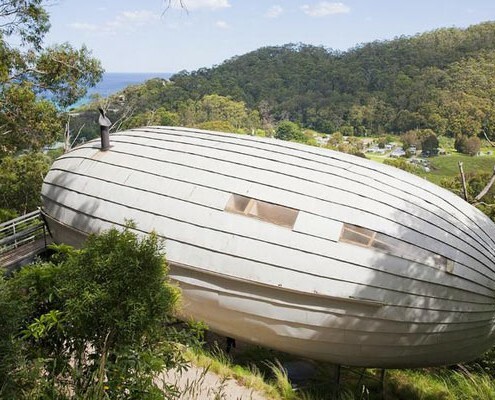 You don't get homes much more unusual than Cocoon -- a zeppelin-shaped home lofts above its steep site, nestled in the canopy of Australian native treetops.